At predawn on Wednesday, Israeli police conducted a demolition raid in the Bedouin village of Umm al-Hiran in the Negev region. As security forces approached, one of the Bedouins slammed his car into police lines, killing one Israeli officer and injuring others. The Israeli soldier killed in the episode was Erez Levi, 34, who, among other officers, watched over the demolition ordered by Israel’s High Court. The teacher, identified as Ya’akub Musa Abu Al-Qi’an, was shot dead by the Israeli forces as he, according to Tel Aviv, tried to carry out a car ramming attack, similar to the one which happened in Jerusalem earlier this month. 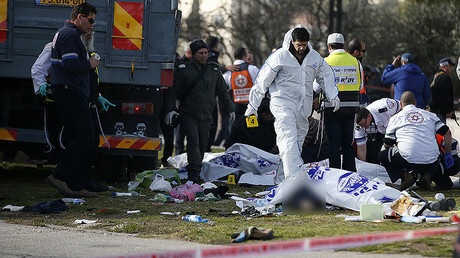 “As (security forces) were getting there, a car of a terrorist from the area suddenly appeared, an operative of the Islamic Movement, and sped toward the soldiers with an intent of carrying out a car-ramming attack,” the police announced, Ynet news reports. 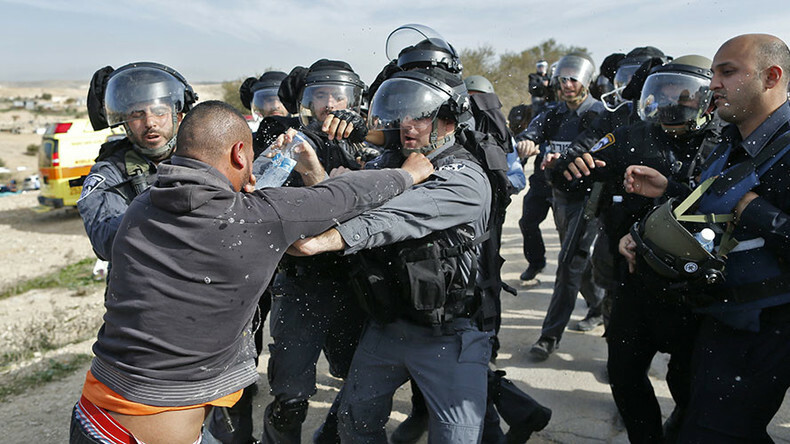 Rubber bullets, tear gas, and stun grenades were also used in the immediate aftermath by the Israelis to quell the anger of the locals who resisted the demolitions of at least 12 homes. The incident was “a deliberate attack. This is clear. This is a fact. There is no other explanation, and anyone who tries to offer an alternative explanation wasn’t here at the time and doesn’t understand,” said deputy commander of the police southern district, Peretz Amar, Times of Israel reports. Following the incident, Israeli authorities released footage allegedly showing a car driven by the Bedouin. The video taken from a police helicopter seems to show that an officer opened fire while the car was slowly passing by. But while the IDF believes the attack was deliberate and that the dead teacher potentially had links to an Islamist movement in southern Israel and probably ISIS, locals say that the driver lost control of the vehicle as Israeli forces started shooting. Witnesses say that the math teacher at al-Salam High School in the nearby town of Hura, lost control of his car after he was shot, which caused him to crash into Israeli police. A video later emerged showing the teacher bleeding on the ground moments after he was shot. Following the tragic incident, Arab Israelis took to the streets of Tel Aviv, Jaffa, and Jerusalem in a protest calling for an independent investigation. Adalah, an organization standing for the rights of the Bedouin villagers, is now trying to challenge the police version of events. “Eyewitnesses have confirmed that Abu Al-Qi'an was trying to leave the village and lost control of his car only after police fired at him,” Adalah General Director Hassan Jabareen said, according to CNN. Dr. Yeela Raanan of the Regional Council of Unrecognized Villages who was at the scene of the tragedy told The Jerusalem Post that the IDF came to the Bedouin village “with a will to harm.” She added that Al-Qi’ann was not a terrorist. She testified that the teacher ran over police after they had already killed him, “I know this man... he is a gentleman, gentle and smart,” Raanan said. Arab-Israeli lawmaker Ayman Odeh, head of the Arab Joint List, was injured by sponge-tipped bullets fired by Israeli police during the incident. “This has been a terrible morning. It was possible to prevent the spilling of blood,” Odeh said in a statement after he had been discharged from hospital. The village of Umm al-Hiran has been disputed in courts for as long as 13 years. Israel’s High Court recently ruled that the village where Bedouins have been living for 60 years must be demolished as the Israeli city of Hiran is going to be built on its ruins.